Far-flung vacations are nice, but President Lincoln preferred to stay a bit closer to home. 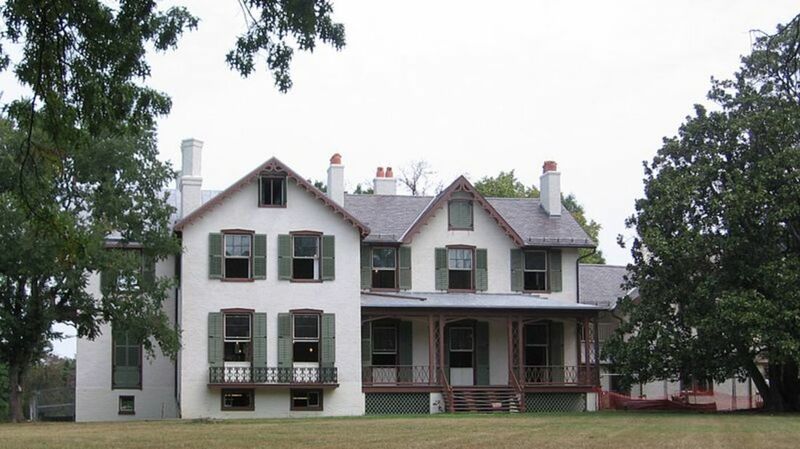 When Lincoln needed a getaway from the heat and political turmoil of Civil War-era Washington, D.C., he headed to a different part of Washington, D.C. From 1862 to 1864 Lincoln spent June through November living in a cottage atop a hill at the Soldiers' Home a few miles from the White House. Lincoln apparently loved the slight change of scenery, which meant slightly cooler temperatures and a chance to ride his horse each morning. If you're considering a stay-cation this year, consider this Honest Abe's endorsement. Some presidents choose to head to their hometowns or a beachside resort for their vacations, but Franklin Roosevelt preferred to travel to western Georgia. Warm Springs, Georgia, is the home of (you guessed it!) warm springs that supposedly had therapeutic value for polio sufferers. FDR, who had contracted his own paralytic illness in 1921, started visiting Warm Springs in 1924 in the hope that exercising in the springs' warm waters would cure him. Although the springs didn't reverse his illness, FDR felt like his time at the resort alleviated his symptoms somewhat. In 1927 he bought the resort he'd been staying at, and in 1932 he ordered a six-room Georgia pine house to be built on the property. This house was FDR's retreat throughout his presidency and became known as the Little White House. FDR was sitting for a portrait at the Little White House when he died of a stroke in April 1945. Today, the house is part of Georgia's state park system and is open to visitors; it's been preserved to look almost exactly as it did the day FDR died. Think George W. Bush was the first president to sneak away from the White House to spend time on his ranch? Not quite. At the end of his second term as Governor of California in 1974, Ronald Reagan paid just over half a million dollars to acquire Rancho del Cielo in California's Santa Ynez Mountains. The 688-acre ranch, complete with stables and a 1500-square-foot adobe house, was Reagan's go-to vacation destination while he was in office, and he entertained some big names there, including Margaret Thatcher, Queen Elizabeth II, and Mikhail Gorbachev, who gamely wore a cowboy hat during his visit. Texan Lyndon Johnson was very involved in the everyday operations of his ranch. Johnson, who had gotten into ranching in 1951, grew his LBJ Ranch into a 2700-acre spread populated by 400 head of Hereford cattle. Johnson was no absentee owner when he was in Washington, either. Johnson frequently headed back on vacations and supposedly drove his foreman crazy by calling every day to talk about the weather on the ranch or how the pastures looked. Today, the National Park Service maintains LBJ's spread as a working ranch, complete with a herd of cattle descended from the Herefords Johnson bred. George W. Bush followed in LBJ's footsteps and went to his own Texas ranch when he needed a getaway. Prairie Chapel Ranch, a 1583-acre spread Bush owns near Crawford, Texas, served as the secondary White House throughout Bush's presidency, and he was often shown clearing brush during vacations. Bush wasn't just doing farm work, though. He exhorted visitors to join the "President's 100-Degrees Club" by running three miles or biking 10 after the mercury hit 100 degrees. Anyone who could pull of the feat got a specialized Under Armour shirt as recognition. We can only hope one of the many foreign dignitaries Bush entertained at the ranch "“ including Vladimir Putin, Tony Blair, Silvio Berlusconi, Ariel Sharon, and Saudi King Abdullah "“ managed to get one of the coveted shirts into their suitcases. Given that this house was Nixon's retreat, it's no surprise that some shady dealings transpired on the premises. Nixon allegedly discussed plans for the Watergate break-in at the house, and he holed up there when the coverup came to light. The house fell into disrepair after Nixon sold it, and in 2004 it was razed to make room for a new building. The Florida White House wasn't Nixon's only retreat, though. He bought a mansion overlooking the Pacific Ocean in San Clemente, California shortly after taking office in 1969. Nixon dubbed his new digs "La Casa Pacifica," but the press quickly started referring to the spread as "the Western White House. " This house wasn't cheap for taxpayers, either; the government dropped over a million dollars improving this home with temporary office quarters for staffers, helipads, and an upgraded heating system. Harry Truman may have been from Missouri, but he headed south when he needed some R&R. Truman started suffering from exhaustion in late 1946, and his physicians recommended a warm weather vacation to revitalize the President. Truman took his vacation in a converted duplex in Key West that already held some history. The house, which was originally built in 1890 for the commandant and paymaster of Key West's naval base, had already hosted William Howard Taft while he was in office in 1912. When Thomas Edison developed 41 new weapons to aid in the American efforts in World War I, he spent six months living in the house. Once Truman visited the house, though, it quickly became known as Truman's Little White House. He ended up spending 175 days in Key West over the course of his two terms in office. Presidents Eisenhower and Kennedy later used the house while they were in office, and it's now open as a tourist attraction. Lounging on the beach is great, but do you really think Teddy Roosevelt would miss the opportunity to do something manly? Roosevelt's vacation in 1905 took him to the Hotel Colorado in Glenwood Springs, CO, where he stayed for three weeks while bear hunting. Starting in 1926, Joseph P. Kennedy began taking his family to Hyannisport, Massachusetts, on vacation each summer. His son John liked the area so much that in 1956 he bought a cottage of his own near his parents' digs, and the family soon purchased a third cottage in the area, giving rise to the name "the Kennedy Compound. " JFK used his cottage as a base of operations for his presidential campaign and later vacationed there each summer he was in office. Not to be outdone by the Kennedys, the Bush family has an even older compound of their own in Kennebunkport, Maine. In 1903 George H. Walker, the grandfather of George H.W. Bush, built a great mansion on his oceanfront estate in Kennebunkport, and the property has remained in the family ever since. George H.W. Bush used the Kennebunkport compound as his vacation home during his presidency, and George W. Bush made a few getaways to the house as well. Between father and son, they've entertained some pretty big names at their summer house, including Yitzhak Rabin, Vladimir Putin, and Nicolas Sarkozy.